From the best hand-built wheels that money can buy, to plush memory-foam cruiser saddles, the new 2010 Vuelta Bicycle Products catalog features 20 pages of products and accessories to meet the needs of IBDs and consumers alike. The complete family of Vuelta and ZeroLite road, MTB and track wheels. Newest Vuelta wheels include the high-tech Carbon 50 Series, the new Team V in road and MTB models. ZeroLite wheels include road and MTB models, plus the all-new ZeroLite Comp Track Clincher which comes in six great colors - White, Black, Red, Polished Alloy, Pink and Blue. Vuelta saddles that offer high levels of comfort and value for road, MTB, comfort and cruiser bikes. All models are offered in both synthetic and Lycra covers over our exclusive memory-foam padding to provide a super-comfortable fit for almost any kind of rider. Components, parts and accessories that can help update a classic bike or be the finishing touch for the latest and greatest road and mountain rides. Made In USA Vuelta chainrings come in two lines - SE Plus for indexed MTB and road bikes, and SE Flat for earlier models. Vuelta cranks for road, MTB and fixed-gear applications - perfect for replacement, repair, upgrade or conversion. There are also chains, links, threadless headset spacers, and chainring bolt sets to fix up almost any bike, old or new. 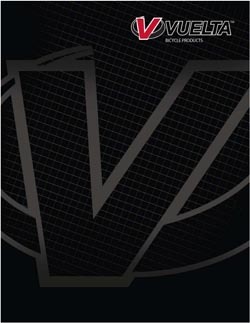 To get the new Vuelta 2010 Bicycle Products Catalog, call Vuelta USA direct at 818-686-3466.